Representatives from CIMMYT and UAS-Bangalore signed the collaboration agreement on February 18, 2019. 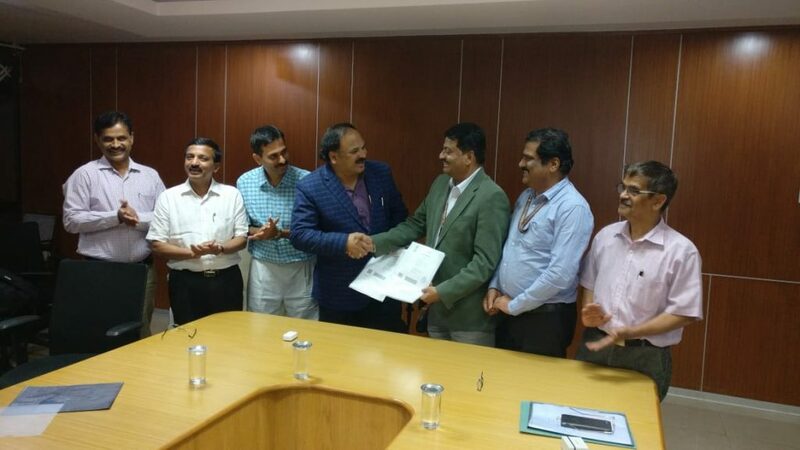 The International Maize and Wheat Improvement Center (CIMMYT) and the University of Agricultural Sciences-Bangalore (UAS-Bangalore) have signed a collaboration agreement for establishing a maize doubled haploid (DH) facility at the Agricultural Research Station in Kunigal (ARS-Kunigal), Tumkur district, Karnataka state, India. The invasive agricultural pest Fall Armyworm (FAW), Spodoptera frugiperda, is considered a threat to global food security. Originally from the Americas, the pest was identified in Africa in 2016 and was first detected in India in 2018, where it is causing significant loss to farmers in Karnataka and other Southern Indian states. The presence of FAW has recently been confirmed in Bangladesh and Sri Lanka, and unofficially in Thailand. There is a high probability that the migratory pest will reach Nepal soon. The deadly pest has a voracious appetite for maize and other crops and its impact would be huge for the Nepalese farmers and economy. There are climatic conditions in Nepal are suitable for the establishment of FAW populations, which can potentially cause up to 100 percent crop loss in maize if not managed properly. Therefore, urgent attention and preparedness on the threat of FAW is crucial. Aiming to raise awareness and sensitize stakeholders on this subject, a workshop was organized where scientists, agriculture experts, entomologists, government, private sector, academia, USAID and other relevant stakeholders discussed potential solutions to combat threats of FAW if and when the pest is reported in Nepal. 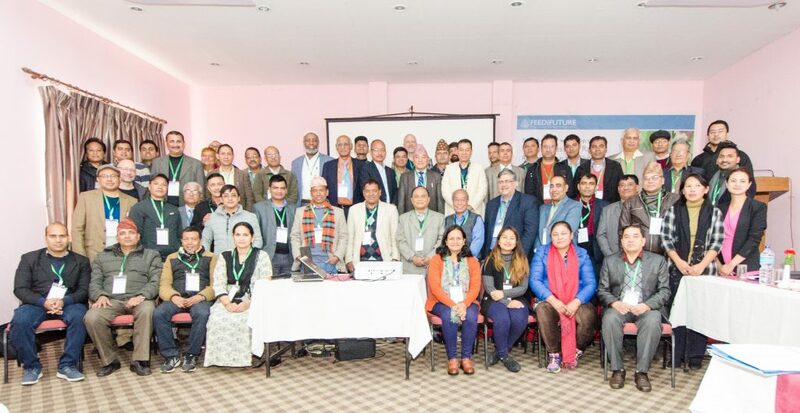 The event was jointly organized by the Feed the Future Nepal Seed and Fertilizer project, the Integrated Pest Management Innovation Lab and the Plant Protection Society of Nepal on November 30, 2018 in Kathmandu, Nepal. Maize production is increasing in several South East Asian countries as farmers respond to changes in consumer preferences and diets. An increasingly popular cash crop in the region and suited to cultivation by smallholder farmers, maize is nonetheless subject to unpredictable markets and may be associated with negative environmental externalities where appropriate production practices are not used. Some countries in the region have experienced a dramatic increase in maize production in recent years, followed by a decline, highlighting the importance of linked economic and agronomic research that addresses the rapid pace of change in the region. 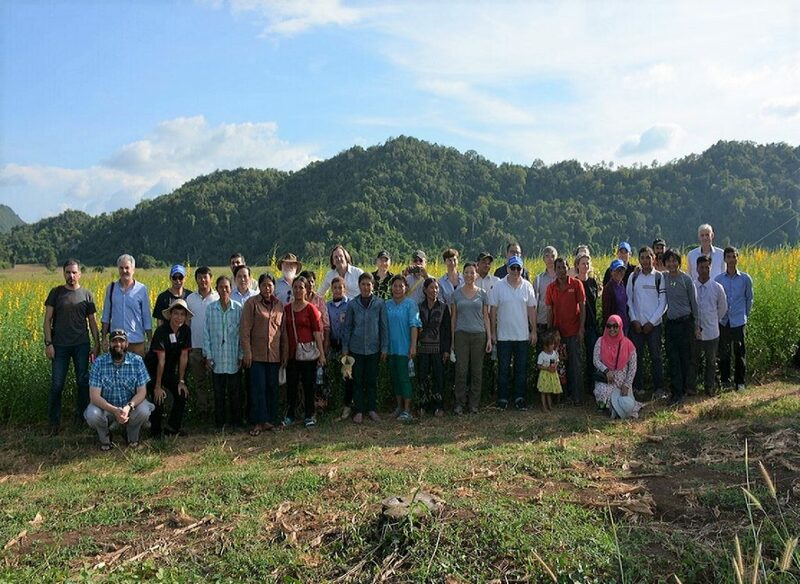 Delegates from across South East Asia gathered recently to explore ideas and opportunities for key research issues on the sustainable intensification of maize in smallholder farming systems in Cambodia, Indonesia, Laos, Myanmar, Thailand and Vietnam, during a meeting held from November 9 to 11, 2018, in Siem Reap and in maize growing areas around Battambang, Cambodia. The meeting was jointly organized by the Centre de Coopération Internationale en Recherche Agronomique pour le Développement (CIRAD) and the International Maize and Wheat Improvement Center (CIMMYT) through their Sustainable Intensification Program (SIP) and the CGIAR Research Program on Maize (MAIZE). Participants during the field visit in north eastern Cambodia. The importance of maize in Asian cropping systems has grown rapidly in recent years, with several countries registering impressive growth rates in maize production and productivity. However, increasing and competing demands — food, feed, and industry — highlight the continued need to invest in maize research for development in the region. 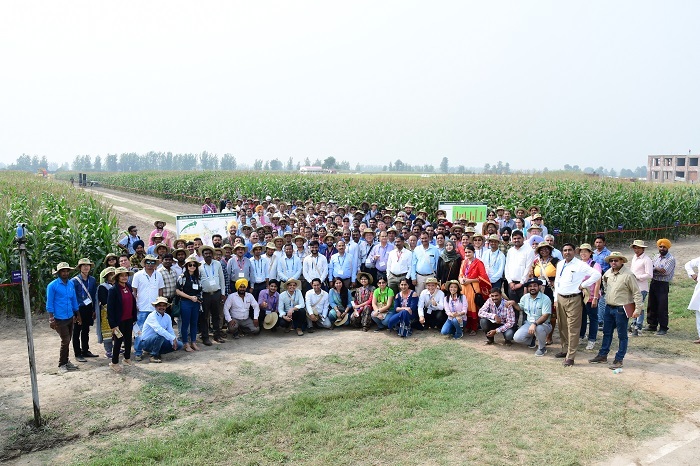 Maize experts from around the world gathered to discuss these challenges and how to solve them at the 13th Asian Maize Conference and Expert Consultation on Maize for Food, Feed, Nutrition and Environmental Security, held from October 8 to 10, 2018, in Ludhiana, Punjab, India.